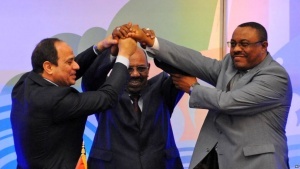 Sudan Eritrean tension the prelude of the coming water war between Ethiopia and Egypt? Eritrea has been an Egyptian proxy since the time of Nasser. The liberation front was organized and armed by Egypt since 1950 to destabilize Ethiopia in order to control the source of the Nile. The only source of water for Egypt. 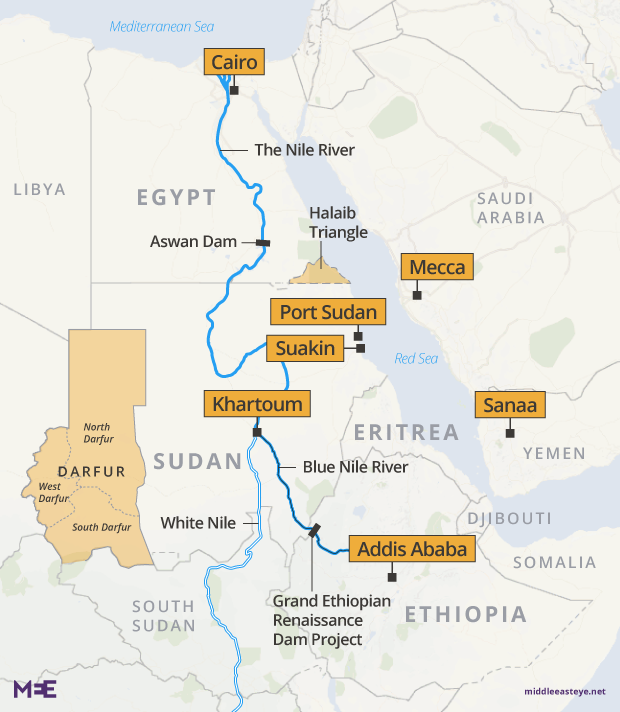 Egypt is threatened impact on its water supply of the Grand Ethiopian Renaissance Dam, now being built near the border between Ethiopia and Sudan and set to be the largest on the continent. Cairo and Khartoum have allied themselves with opposing power blocs, building on inherent tension between the neighbouring countries. Turkish media reported on 4 January that Egyptian forces have arrived in Eritrea, which borders eastern Sudan. Turkey wants to boost its influence in the region, not least near international trade routes that pass through the Suez Canal to the north and the Gulf to the east. Ankara has been active militarily in Somalia since 2009. Sudan closed its border with Eritrea after the deployment of thousands of troops from the Rapid Support Forces (RSF) fighters to Kassala State. Sudan claims that it has sovereignty over Halaib and Shalateen triangle, which is located inside Egyptian territories. Halaib and Shalateen, or the Halaib Triangle, is an area of land measuring 20,580 square kilometres, located on the Egyptian-Sudanese border on the Red Sea coast. 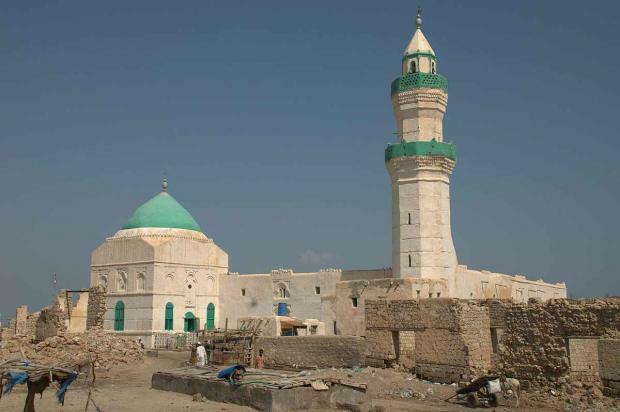 It is part of the Red Sea governorate and consists of three major towns. Egypt and Eritrea after claiming that there have been “military movements from Cairo and Asmara along the Sudanese eastern borders,” BBC reported. Two days ago, Ibrahim Mahmoud, the assistant to the Sudanese President, said that his country “faces (potential) military threats” from Egypt and Eritrea.